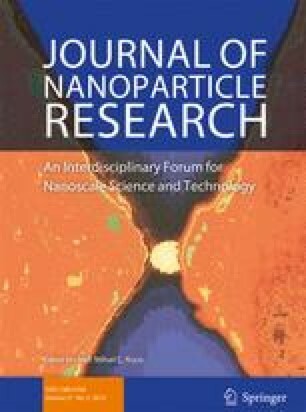 Engineered silver nanoparticles (Ag-NPs) are ubiquitous in many commercial products due to their antibacterial and antifungal properties. Due to the different properties of NPs from their homolog bulk materials, the inevitable leaching of nanosilver from commercial products into the aquatic environment is raising concern about possible effects on aquatic organisms. This review aims at elucidating the inherent ecotoxicity of Ag-NPs for planktonic organisms that produce and transfer energy in the food web and play a key role in nutrient recycling. The current knowledge was gathered through laboratory studies on planktonic organisms, such as bacteria and algae. However, it has already been proven for other pollutants that the ecotoxicological response is strikingly different when simulating more realistic environmental conditions, as in the microcosm and mesocosm studies. Abiotic and biotic factors strongly contribute to altering the toxicity of Ag-NPs and of their released silver ions. The dilemma of the nano or ion effects of Ag-NP toxicity is hereby debated. As a general outlook, we observe that most of the studies were carried out at concentrations much higher than would ever be expected in the environment, and over time periods much shorter which would be typical for the environment. Furthermore, most of the research was focused on freshwater ecosystems and little information exists about the marine environment. It seems that Ag-NPs are less toxic than silver ions. Moreover, the Trojan Horse effect of Ag-NPs in the presence of other pollutants is poorly investigated. This review highlights these research gaps and recommends further research on the Ag-NP ecotoxicity in aquatic environments under more realistic conditions in large-scale experiments and their recovery from chemical stress. The online version of this article ( https://doi.org/10.1007/s11051-019-4504-7) contains supplementary material, which is available to authorized users. This research has been co-financed by the European Union and Greek national funds through the Operational Program “Education and Lifelong Learning” of the National Strategic Reference Framework. (NSRF)–ARISTEIA II (AQUANANO project, no. 4705).